Ideal for organizing computer reports. Rip Proof™ tabs and reinforced heavyweight ledger stock provide superior durability. Ideal for organizing computer reports. Insertable Rip Proof™ tabs and heavyweight buff ledger stock provide superior durability. 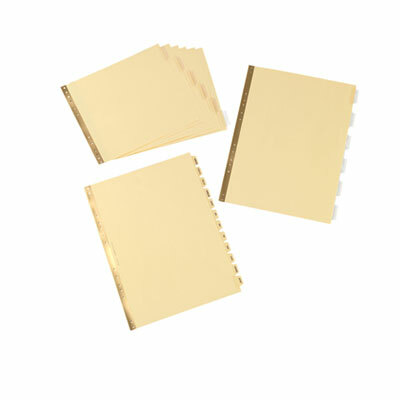 Gold reinforced binding edge.